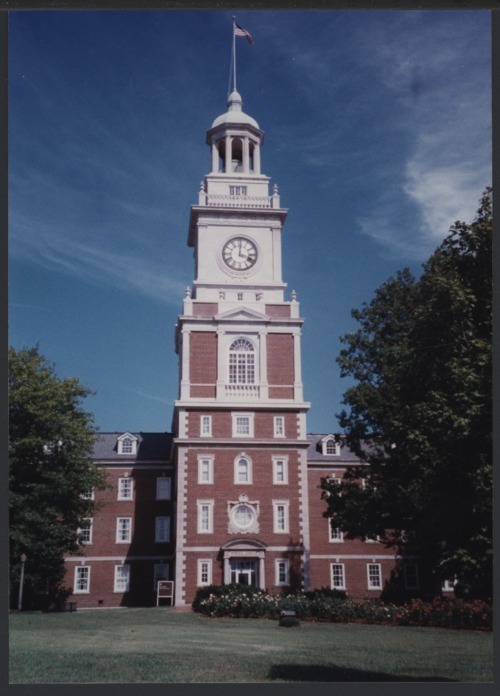 The Tower Building, modeled after Independence Hall in Philadelphia, was constructed as a medical hospital for the Security Benefit Association. The SBA members paid a nickel a month for hospital care. The organization also established an orphanage for their children if the member died, and an old folks home all centered around a model farm in Topeka, Kansas. Later, the Tower Building housed offices, information technology, and the professional library of the Menninger Foundation.